Dirk Schoenmaker is Dean of the Duisenberg school of finance. 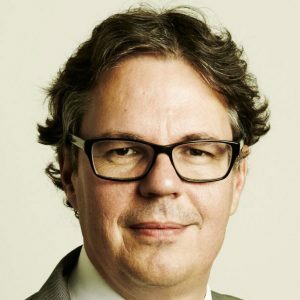 He is also a Professor of Finance, Banking and Insurance at the VU University Amsterdam and Member of the Advisory Scientific Committee of the European Systemic Risk Board at the ECB. He is a renowned expert in the areas of (inter)national banking, financial supervision and stability, and European financial integration. He is author of ‘Governance of International Banking: The Financial Trilemma’ (Oxford University Press) and co-author of the textbook ‘Financial Markets and Institutions: A European Perspective’ (Cambridge University Press). Schoenmaker earned his PhD in Economics at the London School of Economics. Before joining the Duisenberg school in 2009, he had served at the Ministry of Finance in the Netherlands. He was a member of the European Banking Committee as well as the Financial Services Committee of the European Union. In the 1990s he served at the Bank of England and was a Visiting Scholar at the IMF, OECD and the European Commission.